There’s still time to get an in-ground trampoline this year and use it! If you’re considering getting an in-ground trampoline for your family for the holidays, here is a short list on how to buy a trampoline and what to think about when you’re making up your mind. The health benefits of rebounding are numerous. Detoxification, reducing blood pressure, helping with weight loss, stress release. It’s unique because weightlessness and defying gravity are great for stimulating your lymph system. Rebounding — that’s what jumping on a trampoline is called — strenghtens bones and muscles and helps you get a well-toned body without putting stress on your bones and joints. Mini-trampolines can be used indoors or outdoors and are light enough to move from one location to another. A water trampoline is one that is submerged and that you can jump on while being surrounded by water. Above ground trampoline — if you can live with the unsightly fence and the structure obstructing the view in your backyard. In-ground trampolines. They are beautiful, safer, cost effective and don’t take away from any of the beauty of your landscaped yard. 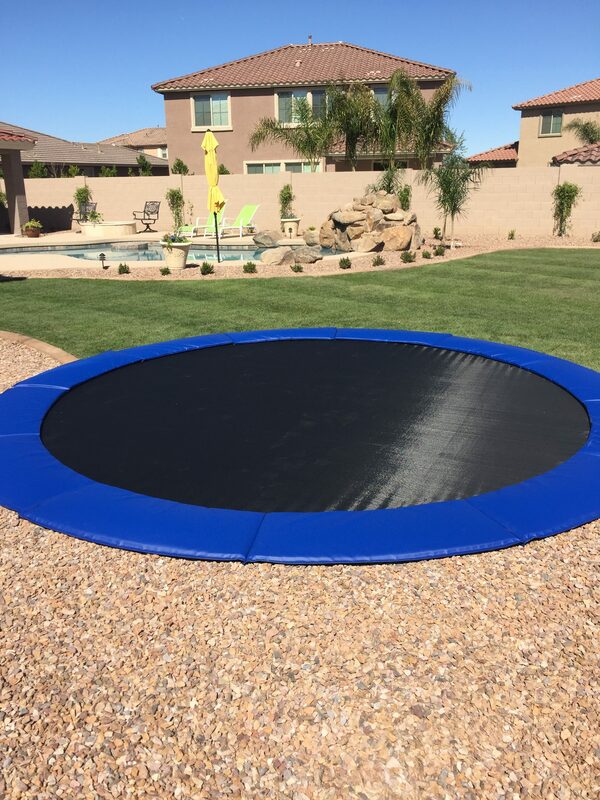 If you’re considering getting an in-ground trampoline for your family, give us a call and let’s talk about the many other benefits of exercising on an in-ground trampoline and how much safer they are compared to other styles. We’re sure you’ll agree that an in-ground trampoline will better fit your lifestyle and the aesthetics of your home.